One hundred thirty priests representing 19 provinces and 16 dioceses (including five religious congregations and three bishops: Baccay, Precioso Cantillas of Maasin, Leyte, and Antonio Palang of Mindoro) gathered in Cebu City earlier this week to serve. By “serve,” I mean the movement where you toss a yellow ball, swing your arm backwards to scratch your back, then you slap forward to pounce a shot. Fr. Fernando Suarez, who celebrated his birthday yesterday, conceptualized this tournament for priests back in the year 2010. After five years in Manila, he decided to change venues and try our city. Msgr. 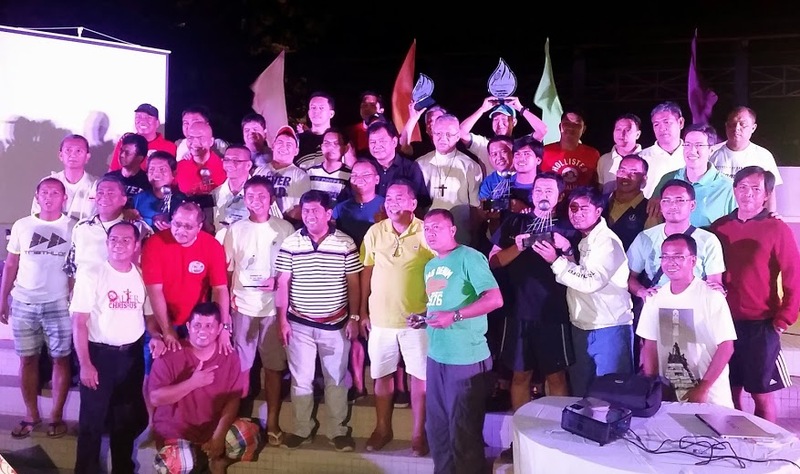 Ruben Labajo, himself a tennis player, led the 31-priest Cebu contingent in helping organize the tournament. He was assisted by dozens, including Frederick Yap, Wilson Ong, Michael Sy, Zsazsa Sierra, the Tabura family (Fritz, Jun and Freza) and the Siso siblings, Niño and Em-Em. Lito and Fe Barino of Duros Land sponsored the Awards Night at their beautiful skyscraper, The Padgett Place. Fr. Jose Dosado, a good friend from the former Sancase Tennis Club, won the 56-and-above singles category. In doubles, Fr. Arnel Haber teamed up with Fr. Jerry Pascual to win the doubles crown; they come from Tagum. The indefatigable Fr. Suarez, whose stamina has amazed his tennis friends (once, he played 12 consecutive sets of tennis), won the 46-55 singles category. Why, I asked Fr. ‘Do Suarez, do you like the game of tennis? Ever the inspiration (and healer) to so many, he recited the ABCs. “C” is “Consistency.” I’ve been privileged to recently play four sets of tennis with Fr. Fernando (we partnered in one and played against each other in three — him winning all four doubles sets) and he’s like a wall; returning shot after shot with his two-handed forehands and backhands. Same with life, it’s essential for us to be steady. “D” is “Do Not Underestimate Your Opponent” (for tennis) and “Do Not Judge Others” (in life). In tennis, the more we bend our knees, the better our service; in life, we ought to do the same: bend our knees to be humble and bend our knees in prayer to God.